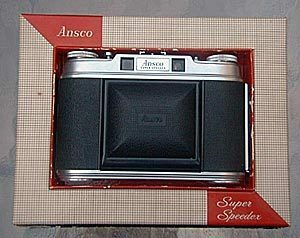 This camera first came out in 1954 and produced for about 3-4 years as Agfa’s top of the line 6×6 folder. Only the Agfa Automatic 66 was more sophisticated and debuted in 1956 – the world’s first fully auto aperture preferred automatic camera… and in a 6×6 folder yet. As far as I know, nothing like that would happen again until the late 1990’s with the Fuji auto focus GA645 series cameras. But back to the Super Isolette. The Super is a very sturdy camera, solidly built and with a bit of heft to match. Not quite as bulky or heavy as a Zeiss Ikon Super Ikonta B, but just as solid. The main feature of the Super Isolette is that it is a rack focusing system where the entire lens moves to focus, not just the front cell of the lens as in so many folders. Many say this is a much desired system as it provides for more accurate focusing. I’ll let that prejudice go as I shot pictures just as sharp with front focusing cell cameras. Maybe the advantage is “over time” …I don’t know. Leave that to the Concrete Sequential Crowd to debate. 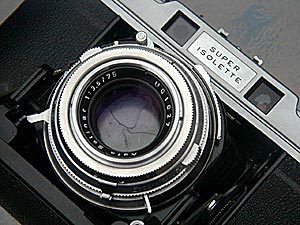 The coupled rangefinder of the Super Isolette is very accurate and not too difficult to fine tune, though like most folders of the type, it calls for dismantling the top of the camera. Super Isolettes are supplied with either a Compur-Rapid or Synchro-Compur shutter. Really depends if you have an early or late model. In either case, the shutters ARE synchronized for flash… you can use any electronic flash on the camera as long as it has a PC cord. By the way, almost ALL shutters after about 1950 are synchronized for electronic flash!!! Shutter speeds are from 1 sec. to 1/500 plus B of course. Some Super Isolettes will also be found with LVS versions of the above shutters. For the unitiated, it means that once you set a particular f-stop and shutter speed, moving either will move the other in tandem. It is a system which found momentary popularity in the late fifties and quickly died because many couldn’t get comfortable with it. In a much more sophisticated form, LVS is how all modern electronic cameras work…we just don’t see it so its more “comfortable.” All we have to do today is push buttons! 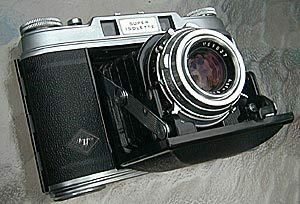 Lenses and shutters are usually in excellent condition on Super Isolettes. Focusing is another matter. Often they are stiff as all get out. I’ve got one now that the focus lever will not budge. 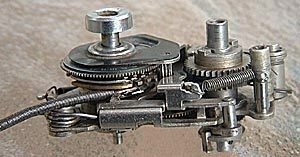 Budge or not, this is one area where total disassembly is necessary to regain a smooth easily focusing camera and every Super Isolette needs to have this done. As to the bane of most Isolettes, most of the time an original bellows on the Super will still be “as good as new.” However, I have had to replace about one in three bellows and they are a real pain to do, especially without special tools…well, impossible without them!